Koena Mitra tops the list when we talk about unsuccessful plastic surgeries. The dove-eyed beauty from Kolkata entered Bollywood and quickly got noticed. But little did she know that her decision to undergo a nose job would cost her a career in tinsel town. She also talked publicly about the bone-chilling story in an interview and said, “With the giddying attention, came the disastrous decision – to get a nose job. After the surgery, my bones started swelling up. Even the doctors gave up and said that only medicine and prayers will work.” Her face was disfigured to such an extent that she even found it difficult to smile. She has undergone several surgeries for nose corrections but she still considers it the biggest mistake of her life. 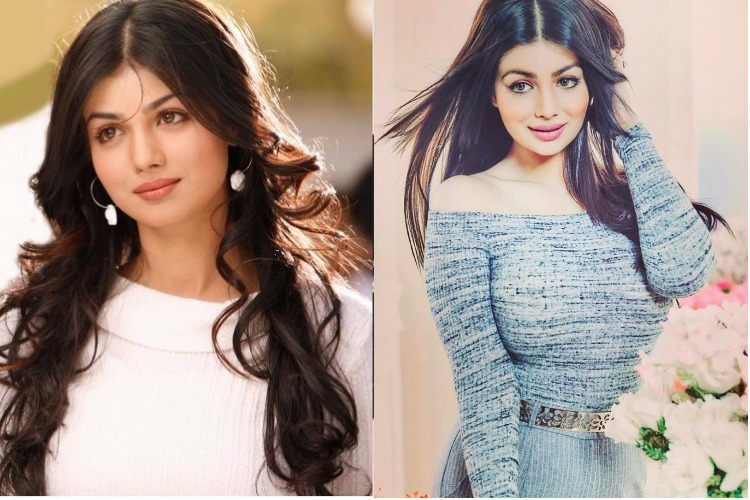 Ayesha Takia, who was missing from the silver screen for quite a long time, surprised everyone when she made a public appearance last February with bee-stung lips, lifted cheekbones, stretched eyelids and a stiff face. Although she posted another picture on Instagram rubbishing the rumours, it was still evident that her face had changed. Anyway, she had a really pretty face and it is kind of sad that she decided to go under the knife. When Minishaa Lamba entered Bollywood, it was really refreshing to see a cute face in the industry. Although she was new, she surely got noticed for her charming smile and girl-next-door looks. However, a few films later, she made the poor decision of getting a nose job done and the rest is history. 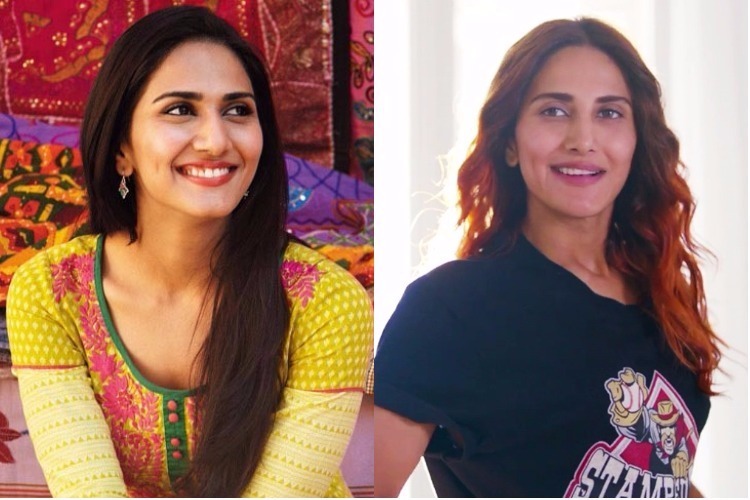 Ever since the first teaser of Befikre was released, everyone started talking not about the film but how Vaani Kapoor’s face looked drastically different. Although the actress blamed French winter for facial changes (seriously?). It is quite evident that the actress got a chin and lip surgery done to enhance her face. And once again, one of the most promising actresses spoiled her beautiful face. 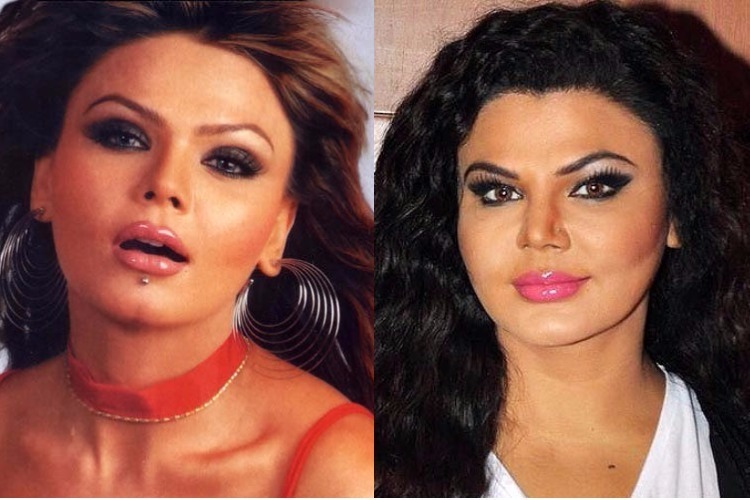 The Pamela Anderson of India, Rakhi Sawant always manages to attract controversies. She got silicon implants on her breasts which kind of paid off. But she also got lip and nose surgery which turned out to be disastrous. 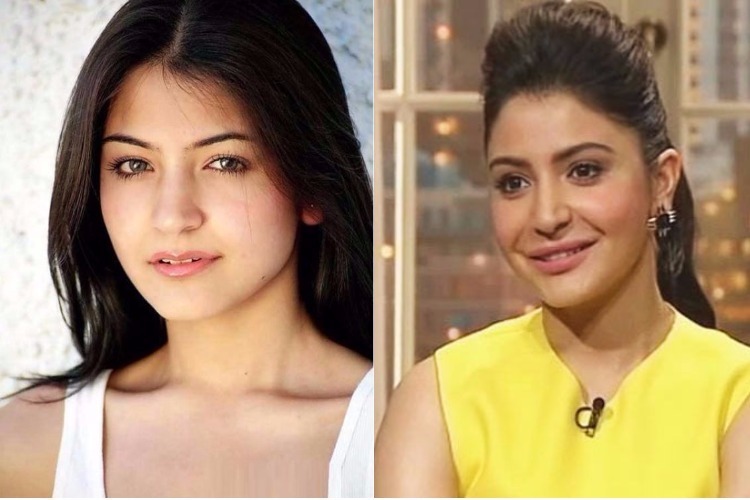 Anushka Sharma was trolled on social media when she made an appearance on Koffee with Karan in 2014. She also denied all the rumours by saying it was just “lip enhancing tools and make up techniques” that might have resulted in the change in her appearance. First of all, it’s kind of kiddish to not confess having undergone a surgery, especially when it is very noticeable. The actress we earlier knew did not have Donald Duck lips! However, her lips look much better now but it’s still different than what it used to be. Just saying. 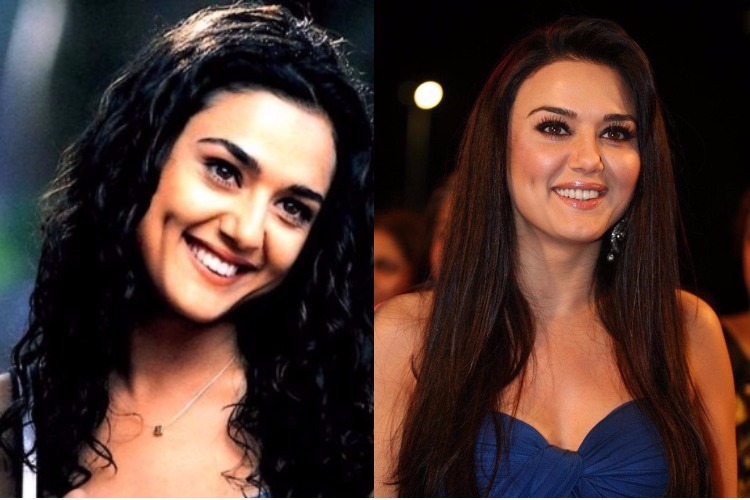 Preity Zinta, once had the whole country going gaga over her deep dimples. Have you ever noticed that smile isn’t so enticing anymore? Preity Zinta lost her charm ever since she decided to go for botox and now all she has is a frozen smile. Rumours have it that the former Miss India and one of Bollywood’s veteran actresses Juhi Chawla too has gone under the knife. 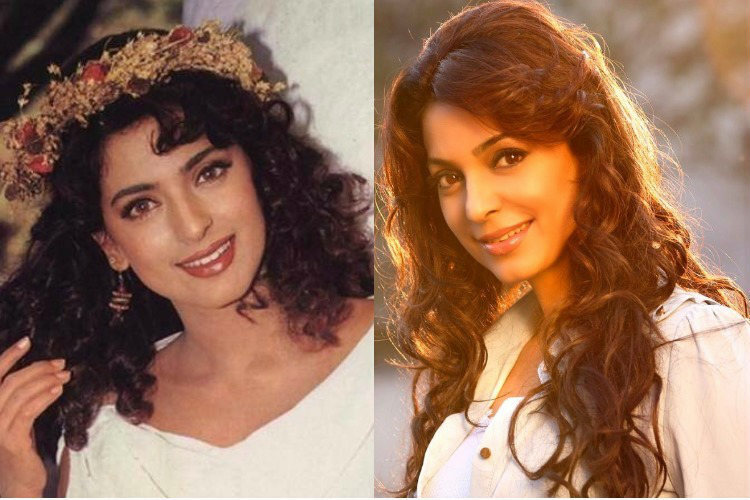 The actress started her Bollywood career in 1980’s and with time, everyone noticed the transformation on her face. She got a nose job which made her nose look elongated and her botox ruined her otherwise heartfelt smile. 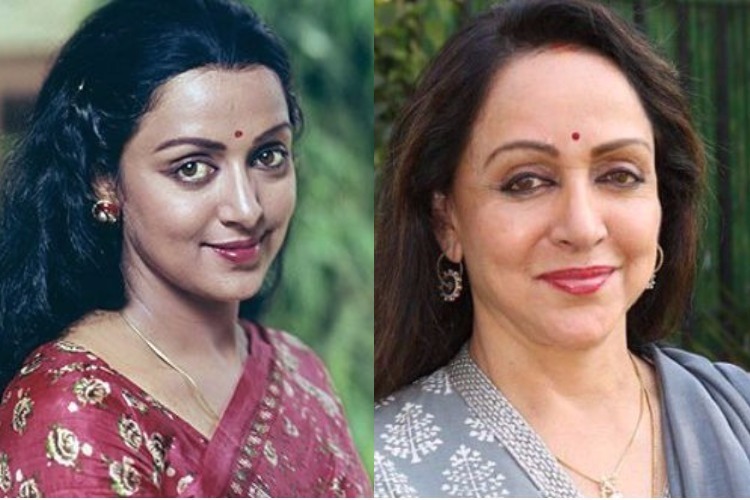 Bollywood’s dream girl Hema Malini undoubtedly looks beautiful even at 69. But due to botox, Hema Malini’s face has lost its natural charm. She is left with stiff facial muscles that make it difficult for her to smile wide.